AND THEY TRIGGER ALL OF THEM! Rajib Roy When I was in ATL they all went off and the dogs were going nuts while Shauna Whitney ran around with a ladder ripping them all out. 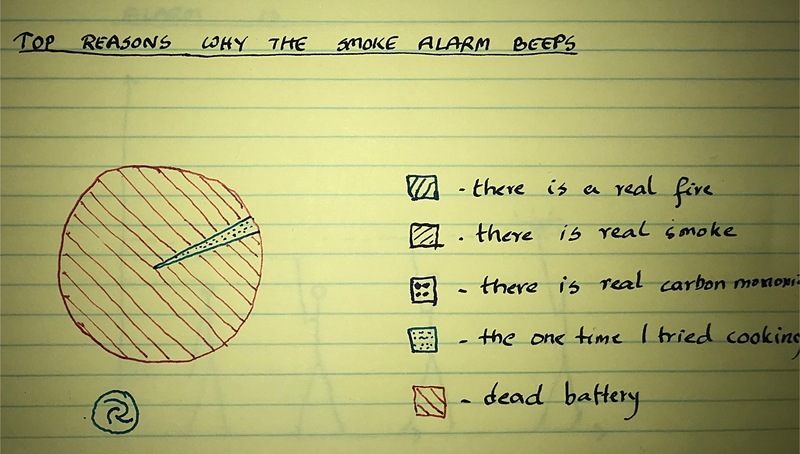 You need another chart – likelihood of smoke alarm battery going dead vs. time of the day. Gaussian curve with peak at 4 AM. In the midst of a nice hot shower in the hotel room after running a marathon recently, due to the steam filling the room. Mine – Lexus ones – go off every time the temps turn a little cold. Even the dealer has advised me to ignore it.